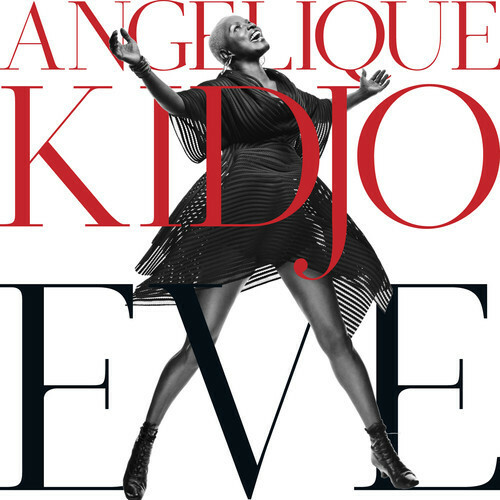 For Angélique Kidjo, “Eve” represents a fresh start. Produced by Patrick Dillett (David Byrne, Fatboy Slim), “Eve” is an upbeat, celebratory set. It’s a collection of songs dedicated to the power of African womanhood, and in particular to those women she grew up with in her native Benin. And it’s rich with melody and rhythm. Anchoring the new recording are guitarist Lionel Loueke, drummer Steve Jordan, bass player Christian McBride and Senegalese percussionist Magatte Sow. For Kidjo, 2014 is shaping as a particularly big year. The Grammy-winning artist is touring the United States and she will promote the release of her upcoming autobiography, “Spirit Rising: My Life, My Music” written with Rachel Wenrick and published by Harper Collins, which was released on Jan. 7, 2014 as a prelude to “Eve” — named after Kidjo’s mother. A UNICEF goodwill ambassador, Kidjo’s star-studded 2007 recording “Djin Djin” won a Grammy for Best Contemporary World Music Album. The follow-up, “Õÿö” from 2010, was nominated for Best Contemporary World Music Album at the Grammys. Afro-funk, reggae, samba, salsa, gospel, jazz, Zairean rhumba, zouk, and makossa are combined through the music of soulful Benin-born, Paris-based vocalist Angélique Kidjo. Since the release of her self-produced debut solo album, Pretty, in 1988, Kidjo has been embraced by the international press. Her albums have been strengthened by contributions from top-notch guest musicians and producers. Parakou, her first internationally distributed album, featured jazz keyboardist Jasper van’t Hof, the leader of Pili Pili, a Holland-based Afro-jazz band with whom Kidjo had performed at the Montreux Jazz Festival in 1987. Logozo, recorded in Miami in 1991 and produced by Joe Galdo of Miami Sound Machine, featured Branford Marsalis on saxophone. Marsalis later performed on Kidjo’s album Oremi. The album features Kidjo singing duets with Cassandra Wilson (“Never Know”) and Kelly Price (“Open Your Eyes”). Kidjo’s most ambitious album, Fifa (1996), featured more than 100 percussionists, flutists, cowbell and berimbau players, singers, and dancers from Benin and one track featuring Carlos Santana. Kidjo’s husband, Jean Hébrail, a French bass player and composer she met in 1987, has played a major role in the recording of her albums. Kidjo’s enthusiastic presence was evident on the video of her international hit “Agolo,” from her album Aye (1994). Produced by Will Mowatt of Soul II Soul and longtime Prince collaborator David Z, the video was nominated for a Grammy Award. Kidjo’s songs have been featured on the soundtracks of such films as My Favorite Season, Street Fighter, and Ace Ventura: When Nature Calls. As the new millennium got underway, Kidjo signed to Columbia and prepped for her major-label debut. 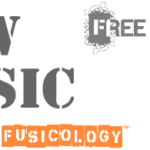 Exploring musical elements of her native Benin to that of northeastern Brazil, Black Ivory Soul was released in 2002. Oyaya!, which featured a collaboration with Dave Matthews, was issued two years later. Kidjo then joined forces with Razor & Tie for the May 2007 release of Djin Djin. A second Razor & Tie album, Õÿö, followed in 2010 and featured guest spots from Roy Hargrove, John Legend, and Dianne Reeves. Spirit Rising, a CD and DVD representation of an uplifting live special Kidjo taped at WGBH studios, appeared from Razor & Tie in 2012. The album Eve, her tribute to the women of Africa, is out now.